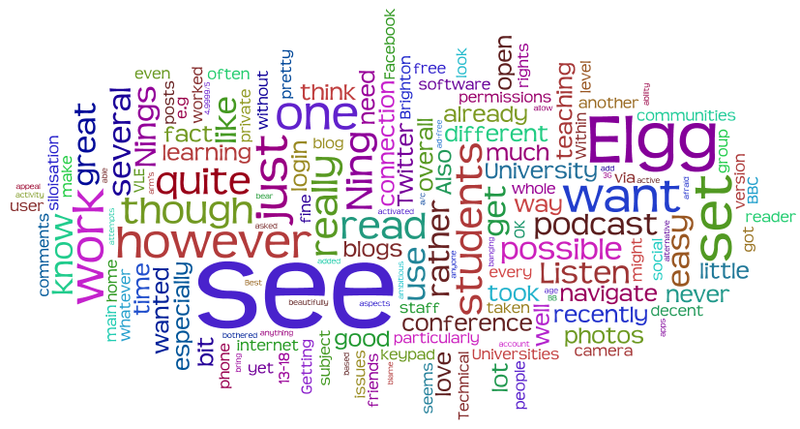 Following a blog post from AJCann about the wordle of his blog, I thought I’d re-do mine. It’s very unlike the last one! I should try to do it on a regular basis. A colleague has just shown me Wordle which is really rather fun. You have to paste in a chunk of text, or a site that has a feed. It then creates a cloud (much like a tag cloud) of all the words that are in it. It ignores common words (e.g. 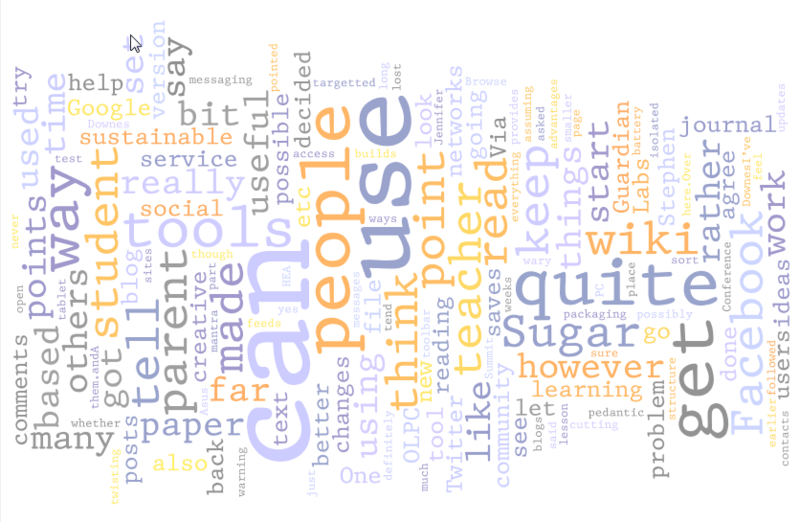 The, and), but not all 3 letter words, so at the moment, it seems that I like “can” and “use” a lot! We also started to think about how it might be used for teaching – for example, to help students analyse pieces of their work, to see if they over use particular words.